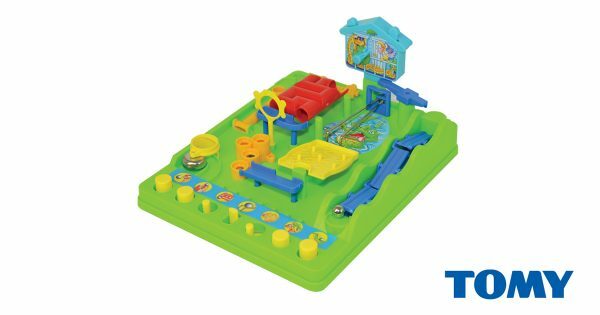 We’re giving eight lucky readers the chance to win a Screwball Scramble from TOMY. Screwball Scramble is a childhood classic that puts your hand-eye coordination skills and timing to the test. With the added pressure of the clock race against time as you guide the screwball through this crazy maze! Determination, agility and skill are what you need to catapult to success and become a Screwball Scramble champion. Play one on one with the clock or challenge friends! To be the first to hear about upcoming toys and news, follow TOMY on Facebook and Twitter.